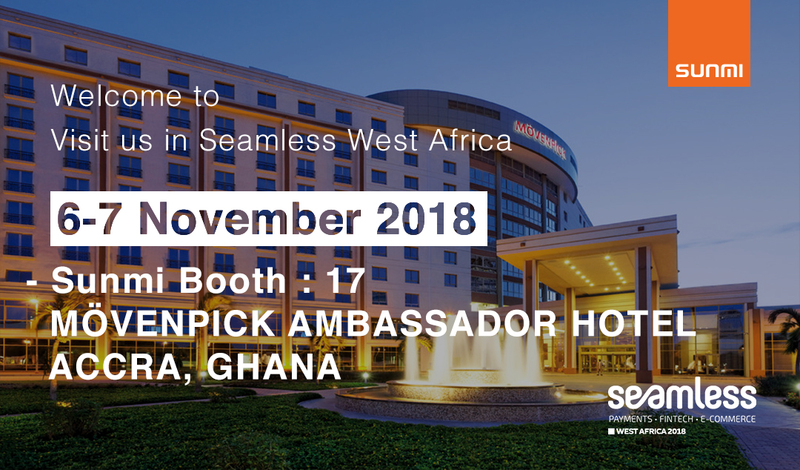 Sunmi Tech will join the big show Seamless West Africa 2018 in Ghana. 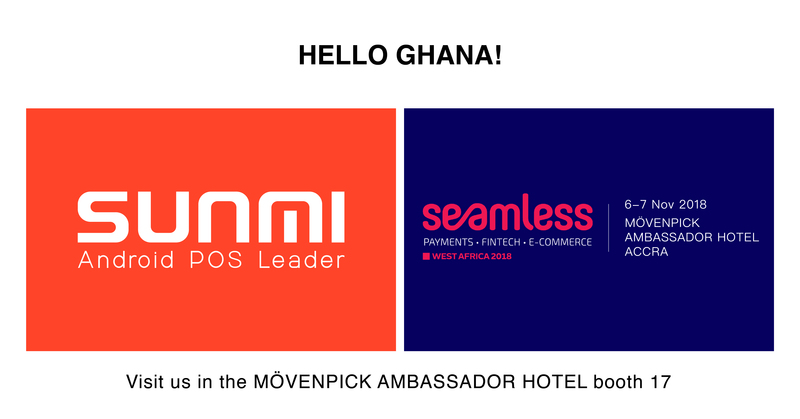 This is the region’s most important conference and exhibition for Payments, Fintech, E-commerce & Retail within 23 years’ experience. Everything you need to know about payments, mobile, retail and logistics will be shown in this fair. Sunmi Tech as an innovation-based enterprise and a Xiaomi Tech galaxy company which providing commercial hardware solutions to O2O Internet platforms, Payment companies, E-commerce, Software developers, and other traditional business. This time Sunmi Tech will shows you all our new products including handheld POS V2 pro, M2 and the financial device P2 lite during this exhibition. To know more about these devices, please visit our website. 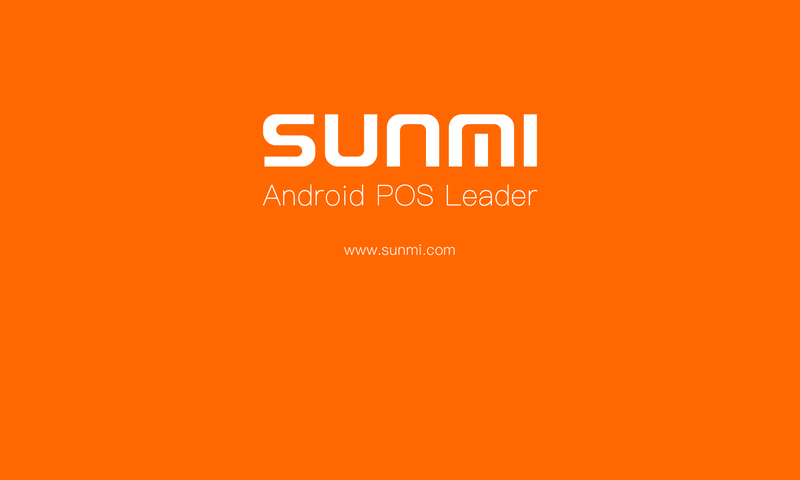 You will find all the solutions from our Sunmi Devices and Sunmi OS in Seamless Expo. This big show is located in Mövenpick Ambassador Hotel. You are welcome to visit our booth in No. 17 ! Please save the date Nov 6th and 7th, 2018 ! Can’t wait to see all of our partners! Any interest to test SUNMI products, please contact immediately to our sales team.